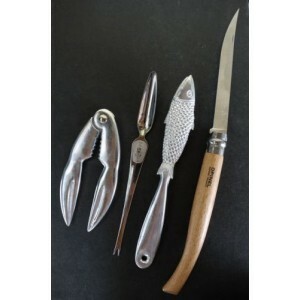 Our stylish and practical Fish and Seafood set includes an Opinel slim fish filleting knife, fish scaler, seafood pick and seafood crackers. Perfect gift for lovers of fish and seafood. All purchasers must be over 18 years of age.